Use these four hacks on a regular basis to create a calmer, less demanding atmosphere in your home. You love your children. They bring you purpose, they bring you happiness, and there are moments where you wonder what your life meant before they came into your lives. But there are also much more overwhelming moments, when their immature behaviors and constant needs compound with the stress you’re already experiencing as a busy parent. It’s no wonder why parents are chronically stressed, always trying to figure out new strategies to manage their chaotic lives. Fortunately, there are some life hacks that can help you manage those daily annoyances, and bring a little more peace to your life. 1. Make purchases that can withstand wear and tear. One of your biggest sources of stress as a parent is going to be the havoc that your children inevitably wreak on your house and your possessions. Children are natural explorers, and not particularly cautious ones. They’re going to spill things, crash into things, and break things on a regular basis—but you can save money, spare yourself trips to the store, and save a lot of time and stress by simply investing in things that can withstand the damage. The Samsung Galaxy S7 Edge, for example, is virtually waterproof, and can withstand whatever your child spills on it. The Getac F110 tablet, as another example, is designed specifically to withstand being dropped, even at high distances and on hard surfaces. 2. Decorate food. Few things are as stressful as a child who won’t eat. Children are notoriously picky eaters, and there isn’t much you can do about that; their taste buds are sensitive, they want to stick with the foods they like most, and they can’t be persuaded by the merits of nutritionally substantive choices. Instead of picking a fight with boring old food, make your food interesting with decorations like food coloring or sprinkles, or with creative stories about the food’s origin. You’ll have a fun time, and softly trick your child into eating at the same time; you might even work a few vegetables into their diet. 3. Turn everything into a game. Gamification is useful for more than just making training more encouraging for employees; you can turn almost anything into a game to make it more appealing and exciting for a youngster. 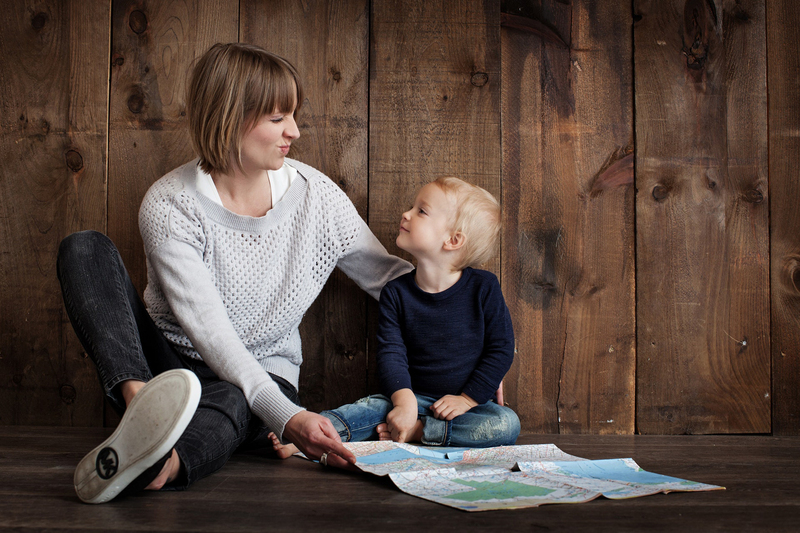 For example, if your child is hyperactive at a time when you need them to be calm, challenge them to some kind of game that requires concentration and focus, such as “I Spy” or a memory game. They’ll be able to divert that energy into playing a game. If they hate a certain morning ritual, such as getting dressed, you can make it a game by timing them, or by racing them while you put on your own clothes. Children love games (and you probably will too), so if you apply a little creativity, you can make any daily activity a little more enjoyable. 4. Always give choices. Having choices always makes us feel more powerful, and children are no exception to that psychological effect. When you give your child a choice, you give them control over a situation—even if that control only exists in their mind. For example, if you have trouble getting your child ready for bed because they hate brushing their teeth and hate bath time, you can ask them, “which would you like to do first: brush your teeth or take a bath?” Even though the end result is that both activities take place, your child will feel like they’re in control of the situation. Be thankful for the few years this trick will actually work. but you’ll maintain your sanity, and face fewer annoyances per day.